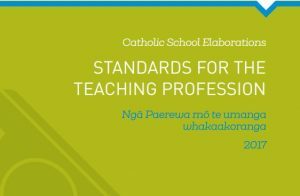 The Catholic elaborations on the Education Council’s Standards for the Teaching Profession provide a framework for personal and professional reflection and support the growth of the encounter with Christ. These elaborations will be a helpful addition to the discussions that take place during discussions around job descriptions and appraisals. Click here to download a printable PDF version or use the PDF viewer below. Click here to download a Microsoft Word version.